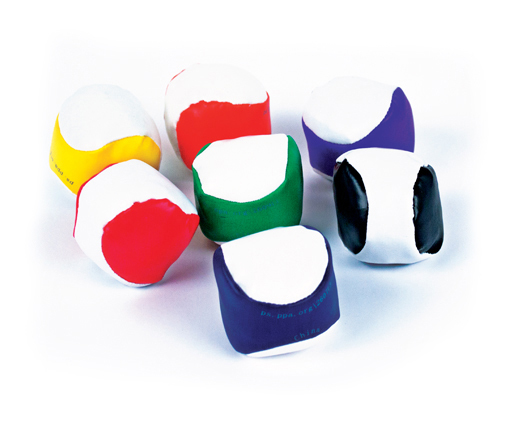 Product Description: Popular inexpensive foot bag for indoor and outdoor fun. Each measures 2″ in diameter. Phthalate free.